The club-branded design replaces the green track cover that has been in place since the stadium opened in the summer of 2016. The new feature has been installed this week and will first be seen on a match day when Leicester are the visitors in the Premier League on Saturday. The club says the pitch surround is in line with fan feedback to improve the match day experience. 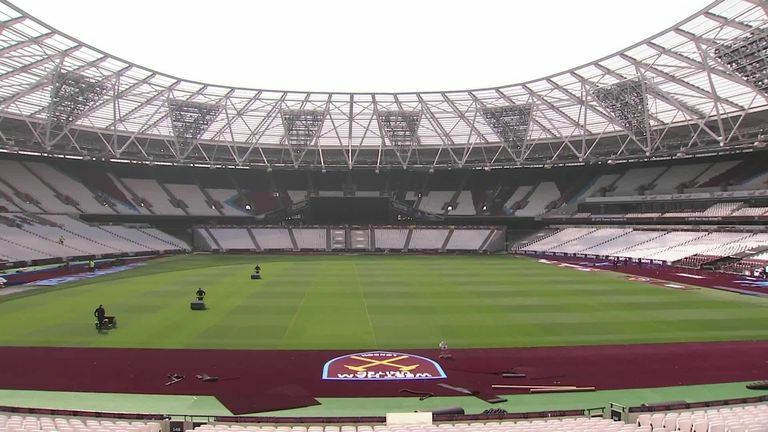 West Ham Vice-Chairman Karren Brady told the club's website: "This is wonderful and long-awaited news for the football club and our supporters.